Hey Blog Hoppers! Stephanie here from Falling Into First. It's the FINAL COUNTDOWN for me with just 4.5 days left with the kiddos. And in that time we are squeezing in a field trip, field day, awards, a concert, and graduation. Cuh-razy!!! And I wouldn't have it any other way. HA! Today I want to share one of my favorite things to send my crew home with at the end of each school year. Our Memory Books!! 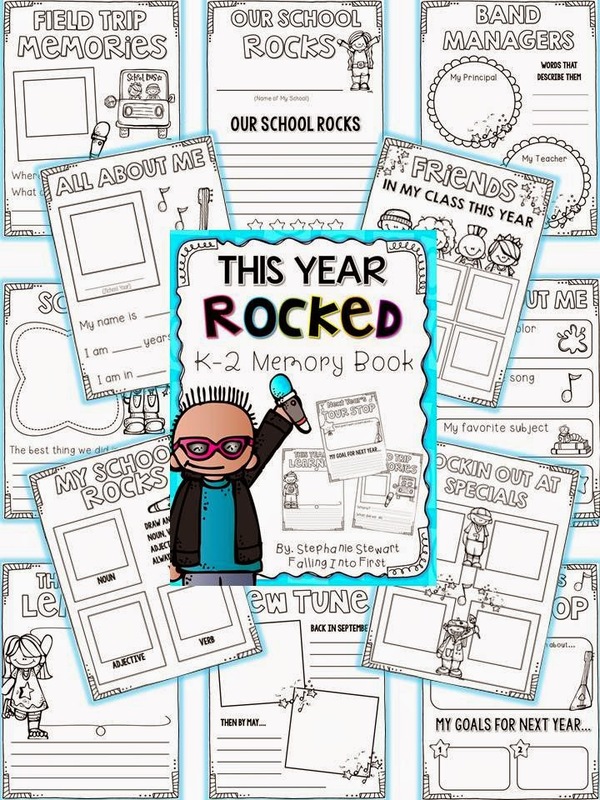 I like my kids to feel like absolute superstars during all of our end of the year celebrations, so for our memory books we roll with a Rockstar theme!! They make for a sweet little keepsake that the kids take home on the last day! There are covers for grades K-2 and also a general one for any grade or combo classes! Back in the day I read somewhere (Most likely a Mailbox Magazine) about stapling books that students make into folders as a "binding" solution. I particularly love this idea for the memory books because they look more "official" and will have longer durability. These make for some precious keepsakes that your kiddos will have for years to come!! 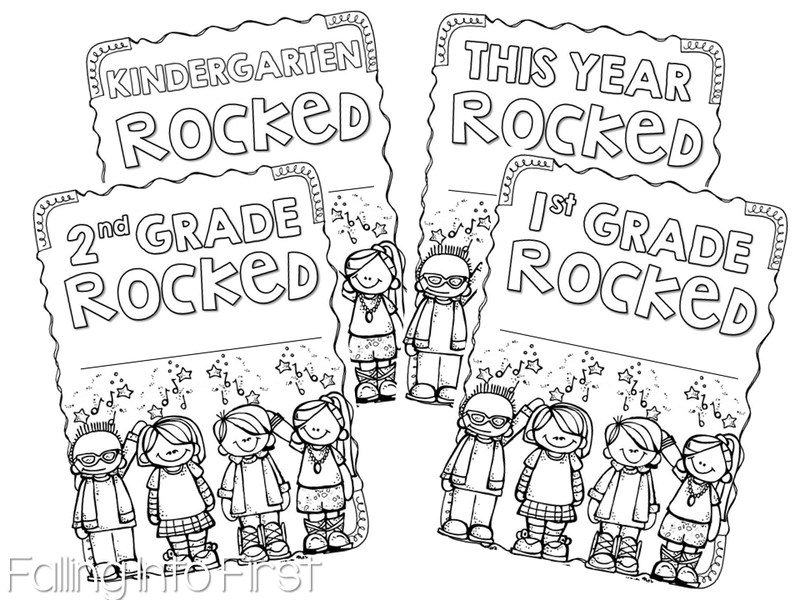 Keeping with the Rockstar theme...a Papparazzi page where you can add class or student pictures! Lots of pages to choose from, you can pick the handwriting lines best for your class. You can preview these rockin' memory books here to see everything included.